So a few months ago, I announced my first book and shared the cover. Here’s the cover I shared. You’ll notice a few differences here, I think, some subtle and some not so much. First, check out the format differences. The first cover is square, the second one is rectangular. Why? The book was originally going to be a paperback original, in a 7 X 7 size. Now, it’s hardcover — the type of hardcover where there’s no slipcover, just the art printed directly on the cover. You’ll note that the image is different. Instead of peaches and raspberries, we have apples and cranberries. Why? The release date has changed: October instead of July. The format, the cover, and the release date all changed for an important reason: we’re targeting the holiday-shopping season, which is exciting because it means we all think this book could be something. Well, I know it’s something anyway. I’ve written it and I’m proud of it. I’ve seen Jen’s beautiful photos, and she and I are both proud of those, too. 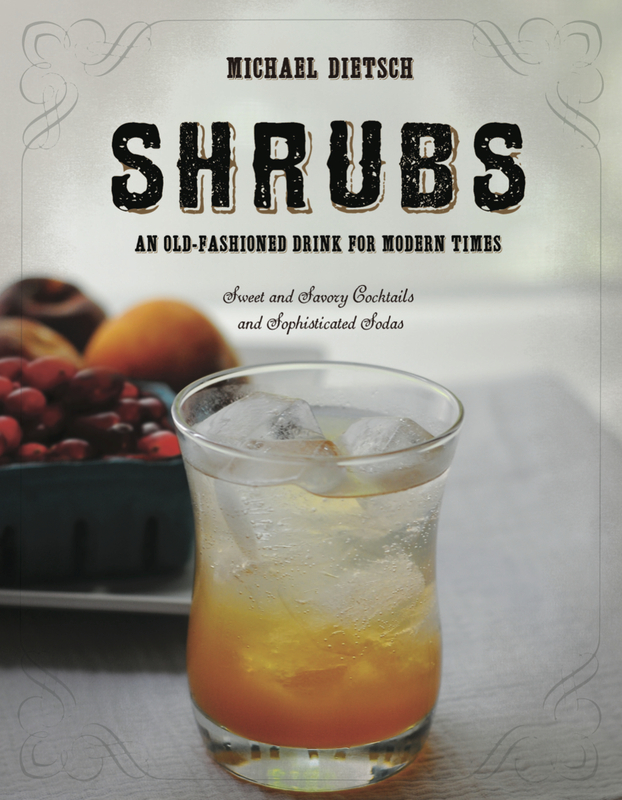 SHRUBS is available for pre-order on various internet outlets: Amazon, Powell’s, and even directly from the publisher. 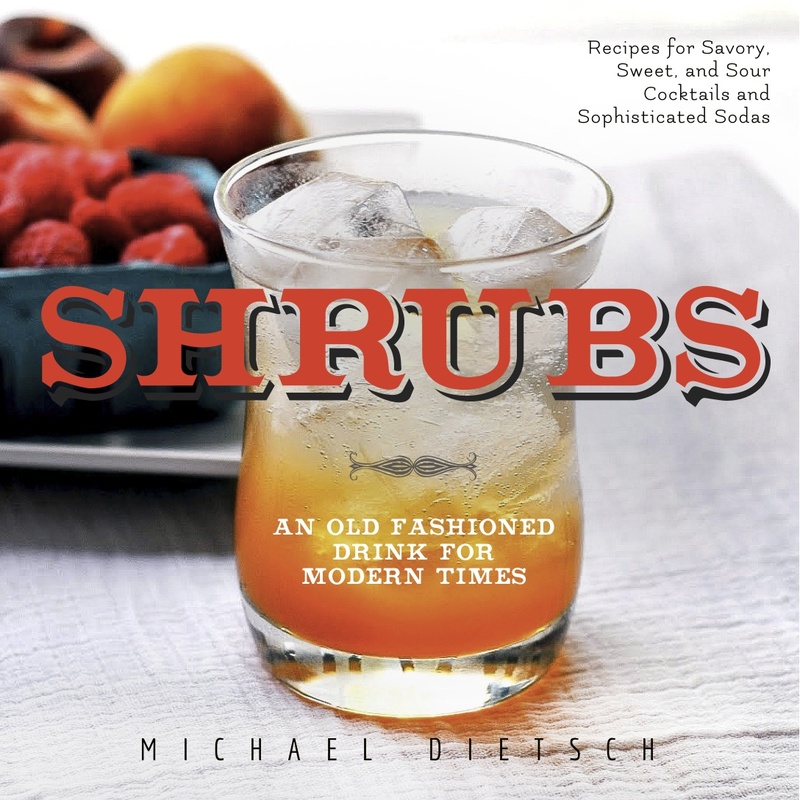 Pre-orders are important, because they help the publisher gauge demand for the book and determine how many to print, so if you can pre-order, you’ll be helping me out quite a bit. Can you share some of the contents and format? How many recipes, etc?